The perfect gift for a UFO Enthusiast, a Roswell Fan, or your friends and family! 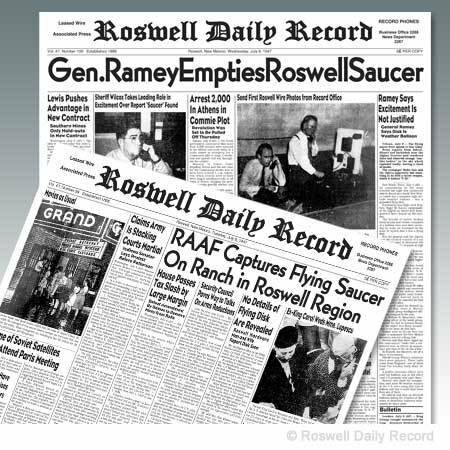 The Roswell Incident – Souvenir reproductions of the front page articles from July 8th & 9th, 1947. “RAAF Captures Flying Saucer On Ranch in Roswell Region” Full Articles!